Breast cancer is one of the most common cancer among women in India. But the good news is that breast cancer isn’t what it was years ago. Survival rates of breast cancer cases are higher now. Thanks to greater awareness, early detection, and advances in treatment. 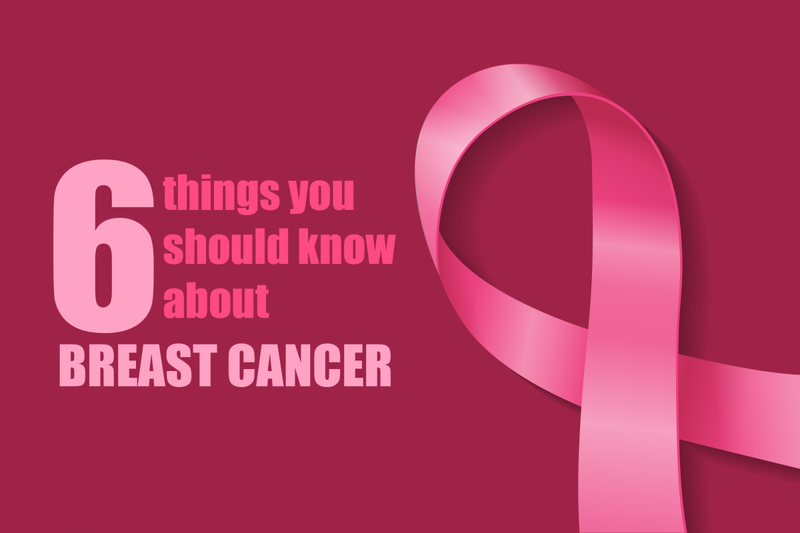 Here are a few important things you should know about breast cancer before it’s too late! It is a cancer that can affect women of any age. Unfortunately, nowadays women in their 20s, 30s, and 40s also being detected of breast cancer. Therefore, it is highly important for young women to be breast aware. But yes, don’t panic! The majority of lumps and changes in a young woman’s breasts are not always due to cancer. But if you do notice something that concerns you, do consult your doctor. One of the biggest myths of breast cancer is that you only get it if someone in your family has been diagnosed with the disease. The truth is very few cases are hereditary. Only 5 percent of breast cancer cases are caused by inheriting an altered gene. It’s just a very common cancer among women. If you’re worried about a genetic link to breast cancer and your increased risk, you need to get in touch with your doctor. There are many types of breast cancer, which grow in different parts of the breast. And the disease isn’t always the same for every woman. It can be diagnosed at different stages and grow at different rates. And thus the treatment for breast cancer is individually tailored, and what works best for one person may not be beneficial for another. Many people don’t know it, but breast cancer affects men as well. Both men and women have breast tissues, although men have smaller amounts. Though the chances of breast cancer are very low and rare in comparison to women, but one shouldn’t completely ignore it. Regency Healthcare: helping you fight cancer! The department of Gynecology at Regency Healthcare is dedicated to eradicating breast cancer with thorough screening procedures.